Our readers’ New Year 2018 hairstyles should be really awesome! In this magical night any women, regardless of age, waits for miracle at heart… We all know miracles begin quietly, perhaps, in our own warm thoughts, smiles and joy. And woman’s confidence in her own irresistibility, of course, causes her positive emotions. 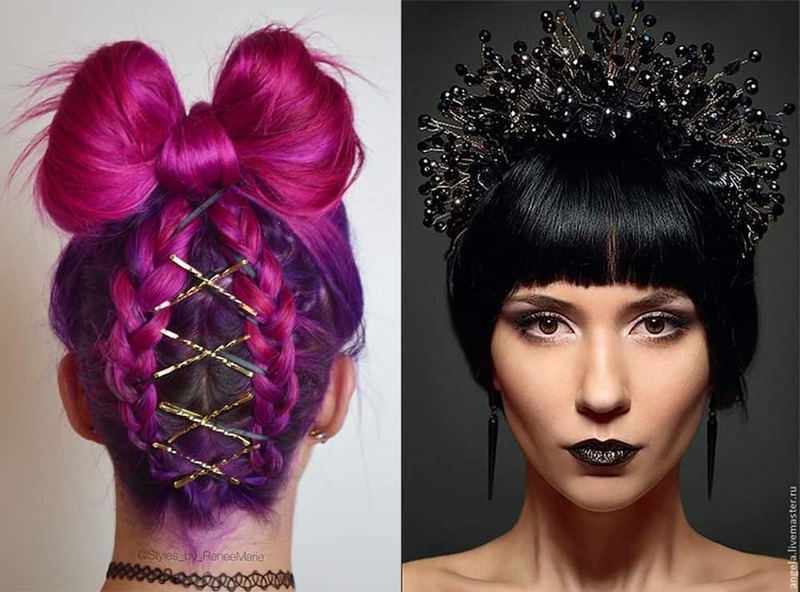 Here we’ve prepared cool party hairstyles photos to inspire you, watching newest fashion shows. Read our «New Year 2018 hairstyles: Little hair magic secrets» article. New Year 2018 hairstyles should be, of course, ultra modern! It’s best time to refuse old-fashioned hard styling! 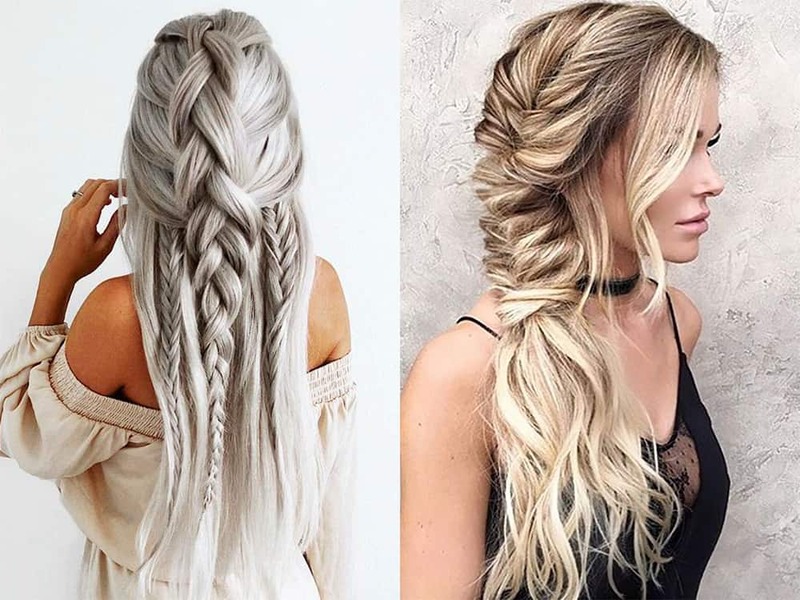 By the way, we can tell you about Christmas hairstyles 2018 also. Now, let’s learn perfect New Years hair secrets. No exscessive fixation! 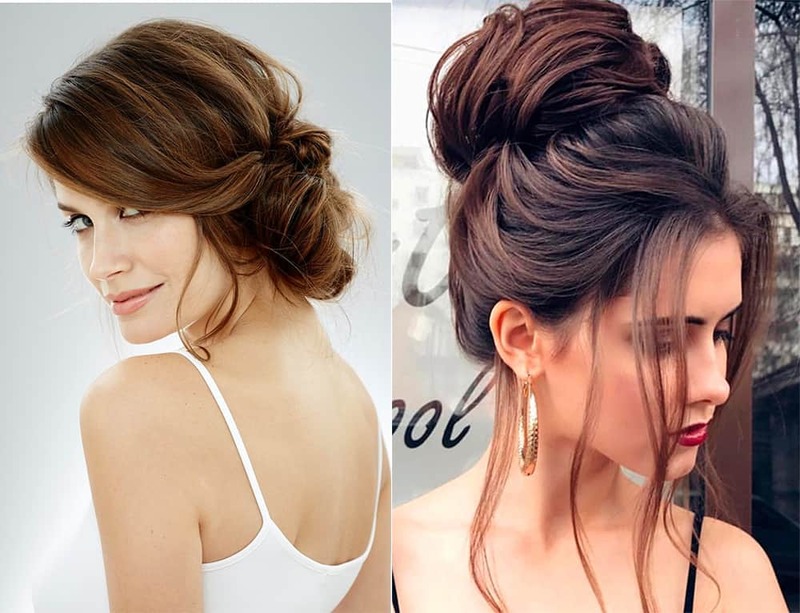 Modern cool party hairstyles look naturally. Naughty loose strands are your good friends, not enemies. Use that nuance: leave carelessly loose parts from big bun. Base on your image. If it’s fairy tale inspired, show your own interpretation of character! Make more romantic option – side braids with few loose strands. It’s wow! Though, any braids make you look like princess this year. Simplicity is ok! Individuality is required! 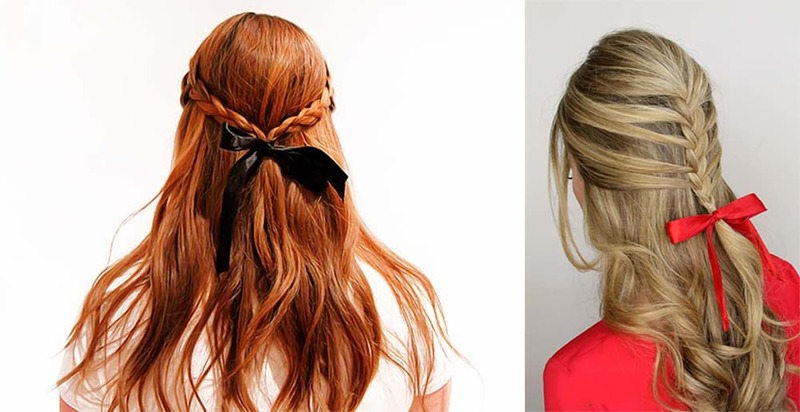 Even simple straight loose hair becomes festive with small accessory, telling about your taste. Accessories boom on catwalks makes clear: New Year 2018 hairstyles require them! Let’s find out trendiest ideas! Simple ribbon around head already makes hairdo bright! 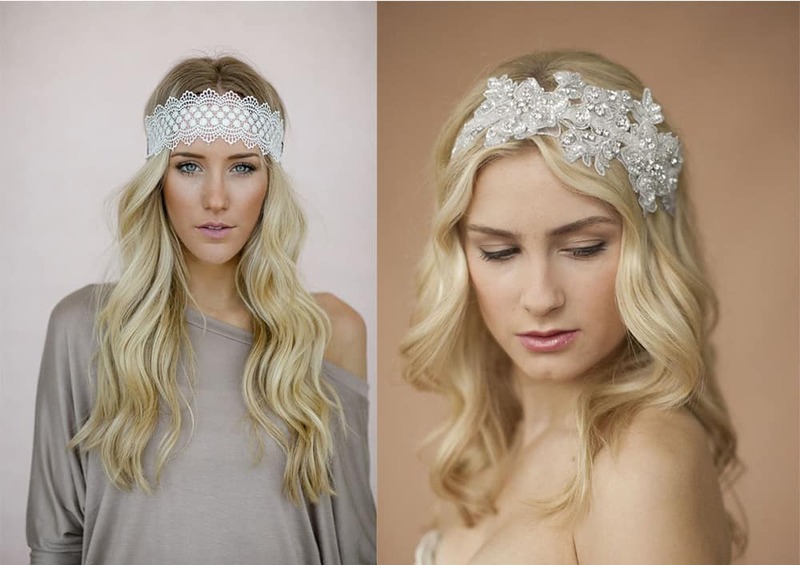 Maybe, you like lace headband more? Get it! Buy ready ones or make unique one by yourself. Decorate with jewels or thin chains. What else is needed for cool party hairstyles! Eco-life philosophy, of course, reflects in fashion. Use naturalistic motifs: birds, flowers and, of course, snowflakes! Any jeweled tiaras and headbands are welcomed! 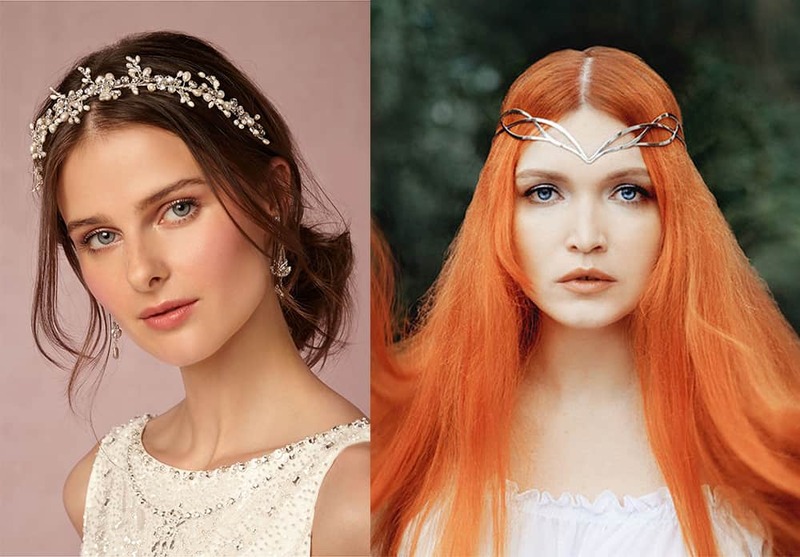 Fantasy style accessories fit for New Years hair better, than anything! New Year 2018 hairstyles wouldn’t be full without great colors, as feast is very bright and positive itself! Year fashion proposes great palette: from all naturals to brightest purples (new black 2018!). All silvers, easily getting on grey hair also, are welcomed. If you’re not ready for constant bright color, but like it, when to try, if not now? 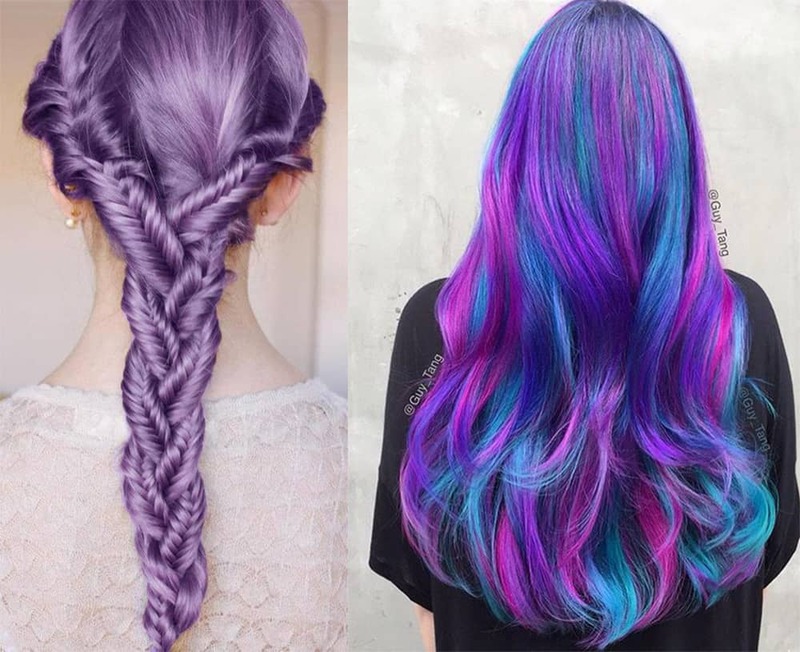 Get hair chalks or toning shampoo and be New Year’s party star! 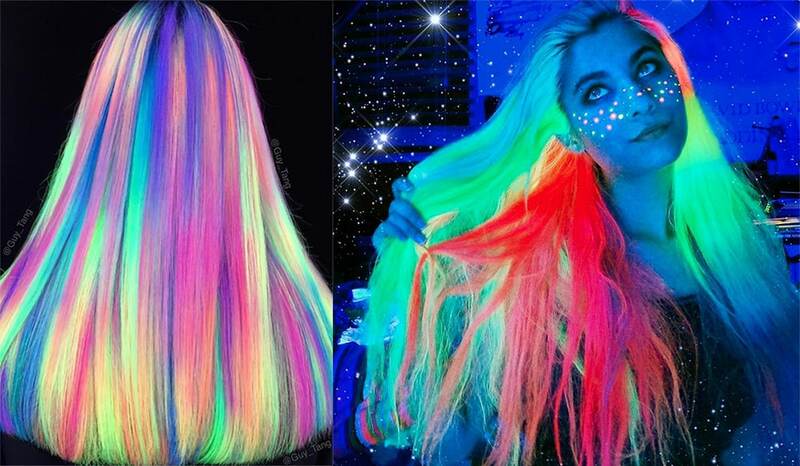 Glow in dark hair dyes are what you need for cool party hairstyles! 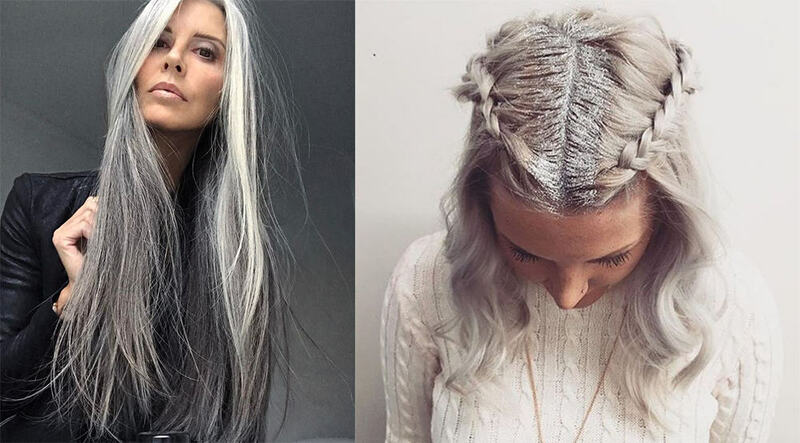 Add silver glitter roots for effect of snowflakes on your hair. Hopefully, our «New Year 2018 hairstyles: Little hair magic secrets» article inspired your great festive look! COOL HAIRCUTS wish you a Happy New Year and… happy life – regardless of calendar date!